During the 2017-2018 school year, Saint Mary’s Hall engaged in a process to create a strategic plan that would guide and focus our school for the next ﬁve years. Our strategic planning process was comprehensive, participatory, and highly reﬂective, resulting in a dynamic and focused strategic plan that will provide a long-range view of future school priorities. 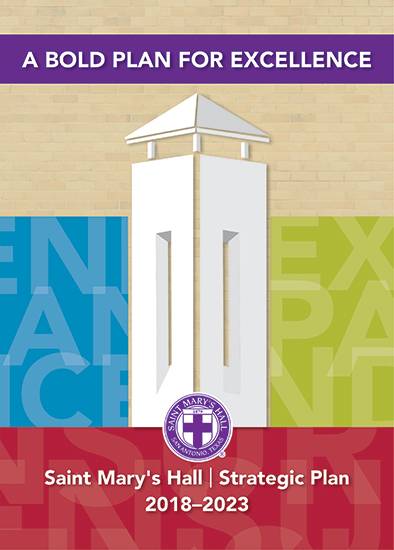 Earlier this year, the Board of Trustees, with unanimous enthusiasm, approved this strategic plan for Saint Mary’s Hall … a plan that squarely puts us on a clear path to further advance our important mission of “preparing students for success in college and fulﬁllment in life,” while remaining the premier educational experience in South Texas. The boldness and visionary nature of the initiatives in this strategic plan will have lasting impact for decades to come and generations of students to follow.